Here, we'll count down five awesome little tidbits fans have found so far in the Destiny 2 open beta. This little list is all about stuff you might not find on your expedition to Destiny 2. You can break into the Lost Sector zones, steal Fallen Pikes, or hear a warped rendition of Paul McCartney's "Hope for the Future" thing. The open beta is full of little things to explore, and it's even better if you can convince a fireteam to join you. Destiny 2's beta runs from July 19-23 for early adopters, and opens up for everyone July 21-23. The full game is set to release September 6th, so it can't hurt to get familiar before your whole life becomes that sweet chase for engrams all over again. #1: Paul McCartney's Theme Song Is Back. Sort Of. Everyone remembers that not-so-great, kind-of-terrible song Paul McCartney wrote for Destiny? No? Well, the people at Bungie didn't forget, and included a warped version of the song in the one and only story mission. In the campaign mission Homecoming, your Guardian fights through the Tower under siege by the Cabal. The war-like race are bombarding your old safe haven, but if you stop and listen by a door that (normally) would lead to the lounge in Destiny 1, you'll hear the familiar, crummy cords of "Hope For The Future". Normally, the planet of Nessus doesn't factor much into the Destiny 2 open beta. You can only land on the planet's surface thanks to the Inverted Spire strike. But, if you're willing to stray from the beaten path, you can explore a huge amount of the planet Nessus. Right when your Guardians spawn into the map, simply spin around and head up the hill instead of following the strike waypoints. There's plenty of fun stuff to find over in the totally optional (and missable) area -- you can kill Fallen enemies and steal their Pike bikes, locate a possible (probable!) raid entrance, or witness a battle between the Vex, Cabal and Fallen all duking it out on the same terrain. Unfortunately, all this extra stuff seems to be completely random. It may take a few trips back and forth to make some of these special events spawn. 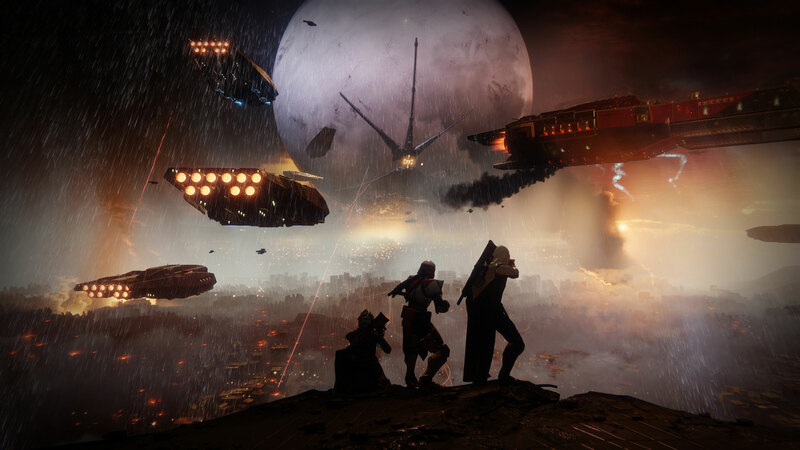 Thanks to a little glitch in the Destiny 2 beta, Guardians can keep an infinite, endless roaming super. This is, essentially, the exact same glitch found in Destiny 1. Fill up your super meter, and then jump into the Nessus Inverted Spire strike and explore the area where Fallen enemies spawn, up the hill and away from the strike waypoints. We're going to need to kill Fallen and steal their ridable Pike vehicle. Here's the trick -- jump onto the Pike as you climb onboard the Pike so that your Super doesn't disappear. Activate the super then board the Pike about half a second later. If you get the timing right, the shield / super animation will appear while you're still riding the Pike. Now open your inventory and swap primary weapons, then back to the original and the glitch is done. You can now enjoy endless roaming supers! Not half bad, right? On Nessus run up the hill toward the patrol area to find a special (and secret!) event. You'll need to run the gauntlet of factions fighting. Enter the larger open area, and wait. It takes about 8-12 minutes for the event to begin. When it does, teleporter circles will appear in three areas -- by the huge tree, on the solid stone slabs, and by the beach. Zip to each location, killing the pair of Vex Hobgoblins at all three locations. After killing the Fallen, hop into the teleporters to fly to the next location you need! When the regular Hobgoblins are down, Storm Minotaurs will take their place at each of the three locations. It's a fun little challenge, even if it doesn't really "count" as a public event. Not yet, anyway. Lost Sectors are special Patrol Events you can access that aren't currently in Destiny 2, but you can see the large white markers on the ruins in the optional area in Nessus. Lost Sectors are cool little zones that pit you (or your team) against swarms of enemies, a boss, and reward your Guardian with a key that unlocks a special cache at the end, offering up plenty of loot. While you can't take part in the Lost Sector activities on Nessus, you can glitch into the area on Nessus. Immediately turn right when you spawn into the Inverted Spire and move toward the massive white structure across the white expanse. Head up the steps to find a triangular door -- this is either a Lost Sector or a raid door, but either way, glitching inside is surprisingly easy. Just drop down to the left corner of the door platform and find a path that's woefully unfinished. Just check out the video above for an exact path inside. 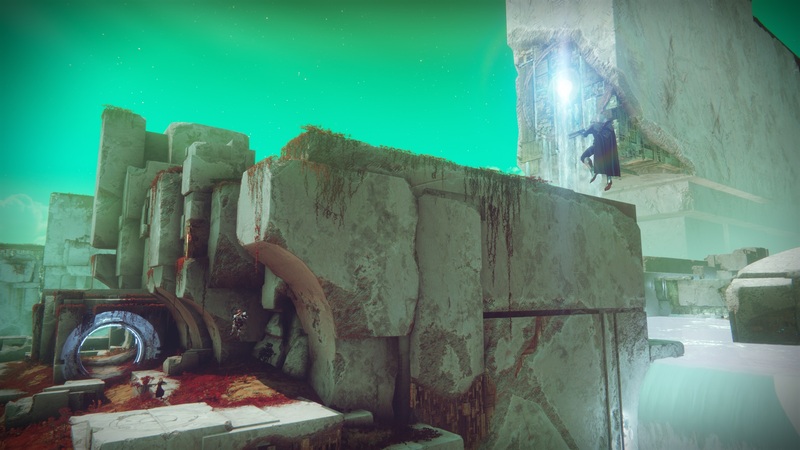 Found any other cool secrets and extra stuff to explore in Destiny 2? Let us know in the comments!